IN HELSINKI, some 10,000 people gathered for a climate march in October. They demanded climate action from their politicians. Even if Finland has made a lot of progress, we are still not on the path we should be on. When measuring emissions per capita, Finland is not best in its class, by a long shot. You can always ask if it at all matters what a small country like Finland does in this field. Our emissions are a drop in the ocean. This is true. But the emissions on the EU level aren’t. 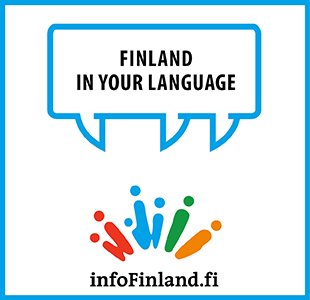 As a part of the EU, Finland can have an impact. In all this discussion around the EU, Brexit and the challenges we are having when dealing with authoritarianism in Eastern Europe and economic populism in the South, I think it is quite clear that without the EU, we would have much more of a challenge in our fight against climate change. The EU is a big player, and can thus also be a leader. So, what should we do? In Finland’s case, we have challenges in three sectors: energy, traffic and our forests. The last one, the forests, is an especially tricky question. Not because of superfluous raking or fires, but because our forests are mostly private property. When we talk about the forest in Finland, we don’t only talk about biodiversity or recreational activities, we talk about a source of living. And, of course, a very important industry nationally. Finland is a big global player in the production of products derived from our forests. This can be seen in Parliament whenever these questions are raised. The Finnish climate panel, an organ appointed by the Finnish government, has clearly pointed out what it means for our climate goals if we reduce the carbon sink our forests represent. Still, the message doesn’t seem to go through. To an extent, it is a question of perspective. You can make an argument that increasing logging now – as long as this increase focuses on measures that increase future production – might have a positive effect in the long run. However, you can also argue that we should be wary of any increase in harvesting timber, as much of the climate challenge depends on how we meet our near-term goals in the next decade. The solution here is, in my view, to create the right kind of economic incentives. Today we have the EU Emissions Trading System, the European cap and trade-system through which we create economic incentives for companies to cut down on their emissions. In order to create equally efficient incentives to grow our carbon sinks, those who own forests should be paid for preserving – or growing – them. Already today, we know with great accuracy how fast the forests grow in different parts of the country. Our forests are continually monitored on a local level. It would not be difficult to create a national carbon sink market, a system that gradually also could be applied EU-wide. A part of the revenue from the ETS could be directed into this mechanism. It is clear that the climate challenge is not only an environmental problem, but also an economic one. If we fail, it will have tremendous economic consequences. But also, if we want to succeed, we need to use the market and its mechanisms in pursuit of this common goal.